Naim ND5 XS 2 review | What Hi-Fi? When Naim describes its ND5 XS 2 network streamer as entry level, it actually means that it’s the cheapest dedicated component the company makes in the range. Never mind entering at this level, if this is the best your system ever sounds you’ll be doing your ears mightily proud. But this streamer isn’t boastful. Its black chassis is punctuated only by the company logo and power button, both tastefully illuminated in Naim’s iconic green, and a USB Type-A input subtly located front and left. That means no full-colour screen, something that has been a welcome and attractive feature of Naim’s recent products, but given that your streamer will be almost exclusively controlled via the app, it’s far from an issue in terms of functionality. In fact, you may argue the lack of ancillary electronics can aid the sound; and we’re great fans of the ND5 XS 2’s understated, brushed metal façade regardless. Even the rear remains tidy, despite the array of connections housed here. There are four digital inputs – a pair of optical TOSLink, one coaxial RCA and a coaxial BNC – and RCA and five-pin DIN analogue audio outputs, alongside another USB Type-A socket and terminals for Ethernet cable, Bluetooth and dual-band wi-fi aerials. Of course there is plenty else built-in for your streaming needs, including Chromecast and Apple AirPlay, Spotify Connect and native support for Tidal with a 90-day trial of its HiFi tier included for each customer, while the streamer can also be used as part of a Naim multi-room network. Being UPnP enabled, the ND5 XS 2 can stream files up to 32-bit/384kHz from any outboard NAS device or home computer, and it features Naim’s latest network card, which uses low-noise, low-voltage differential signalling to route the digital audio signal. The Naim app plays an integral part in the streamer’s functionality, which is a huge positive. We use it every day with our reference system, so our familiarity with the product may affect its perceived ease of use, but it really is as straightforward a piece of software as you could hope for. Once connected to our network, the ND5 XS 2 shows up immediately within the app, and has no issues communicating with the rest of the gear on the same network. Enabling each input and output is simple – just head to the settings icon – and all sources are present on the home screen. We cannot overstate the importance of running in the ND5 XS 2. Naim products have a tendency to take a decent amount of time before really sounding their best, and while a day or two will iron out any creases, the sound can continue improving over a number of months, with subtle enhancements eventually leading to noticeable sonic gains. You’re unlikely to be disappointed with this streamer even straight from the box, but be aware you might not experience its full potential for some time after its purchase. Even if that turns out not to be so much the case with the ND5 XS 2, there is nothing sonically for which we can fault its performance. It is unmistakeably a Naim product: more than doubling your budget for something like a NDX 2 will offer a notable upturn in terms of detail and resolution, but the company’s musical understanding is very much brought to the fore, even at this entry level. Tonally it is even, with the ability to dig deep into bass frequencies with ease and tempering that with rich and insightful mids and treble. It possesses that neutrality required to paint an honest picture of a track, refusing to force its own presentation simply to catch the listener’s ear. And let’s not ignore the impressive detail on offer here. Despite the NDX 2 being able to open the sound up further and fill in more gaps, the ND5 XS 2 is as masterful at conveying timbre as anything you could hope to find for this kind of money. That applies to the breathiness of a reed instrument just as it does the shape of a synthesized waveform or timid croak in an intimate vocal performance. The quality of input is of course a major factor in the level of what comes out, and this Naim is unabashed in its highlighting the value of a decent file. But its insightful nature is present even when streaming from Spotify via Bluetooth. If that makes it sound a bit dour, do not be fooled. It remains a pleasant surprise when a streamer displays any kind of aptitude for timing, but the clock here is admirably precise, while an abundance of punch and terrific dynamic range make for an entertaining, exciting listen. It is clear in the way the ND5 XS 2 handles rhythmic patterns, conveying intensity as a track ebbs and flows, and also in the subtleties of a performance that bestow upon it an element of humanity. Naim has proven again the possibility to provide truly great sound irrespective of genre. We experiment with this streamer’s range of connections, and prefer the five-pin DIN output over RCA. It opens up the sound marginally, offering a cleaner presentation with more defined edges. 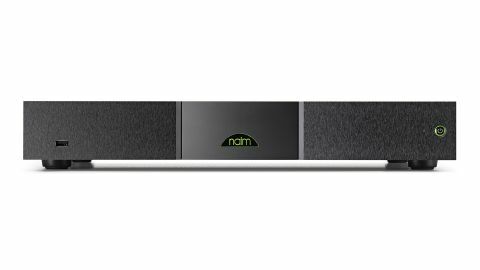 The Naim ND5 XS 2 is a sterling piece of hi-fi kit. It sounds like a five-star product almost immediately, and our admiration only grows as it mellows and settles into its role. This is the kind of network streamer for which it’s seriously worth extending your budget.